San Bernardino is the largest county in the United States, stretching from the outskirts of Los Angeles to the Arizona border and encompassing vast stretches of blasted desert hellscape. It's beautiful but barely inhabitable, yet people still try to live there. In decades past there were homestead programs offered in the region: if you built a house and lived there for a couple years, the property was yours. Companies offered tiny kit houses designed to meet the minimum specifications for the programs, such that many of the tiny husks that remain look so similar. Now, cities like Trona—where Kirk fought the Gorn and some of Planet of the Apes was filmed—are modern ghost towns. 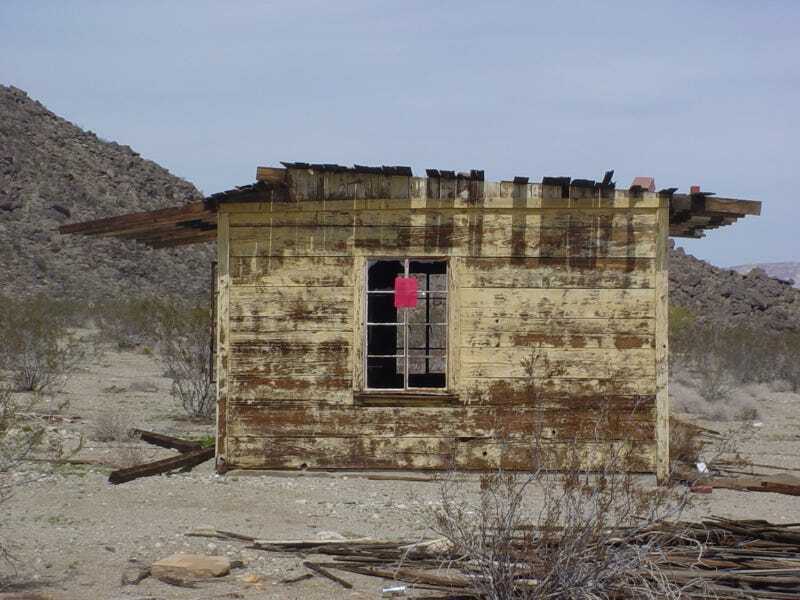 More buildings are abandoned every year, many in staggeringly remote locations, and the county puts them up for sale when the taxes are unpaid. All pics from the San Bernardino County Tax Collector's website.